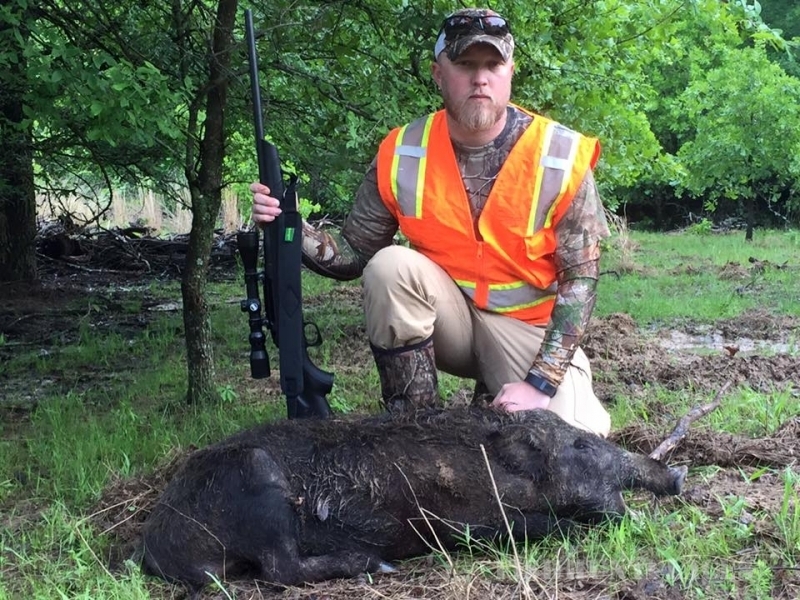 Family owned, this hunting ranch is the lifelong dream of Tim and Victoria Paxton. 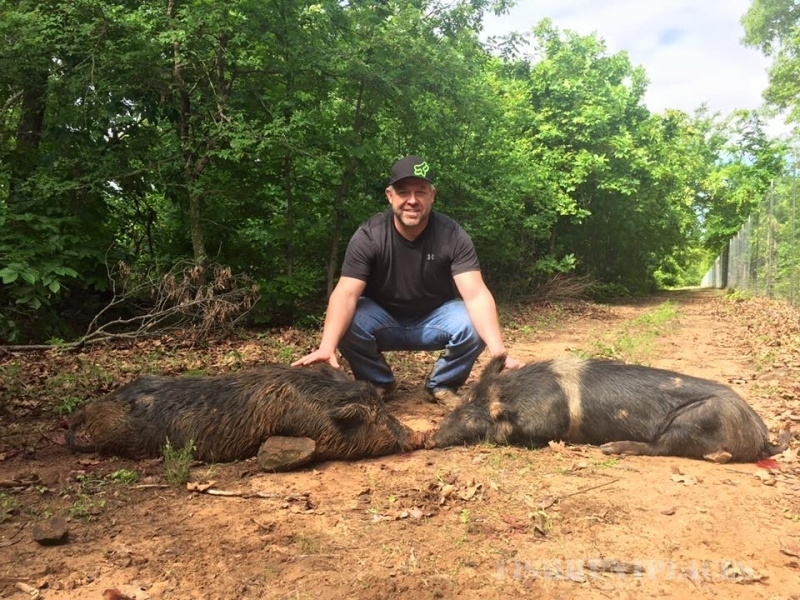 Black Mountain Hunts boasts 160 Acres of High Fenced and Low Fenced land in Okemah, Oklahoma. 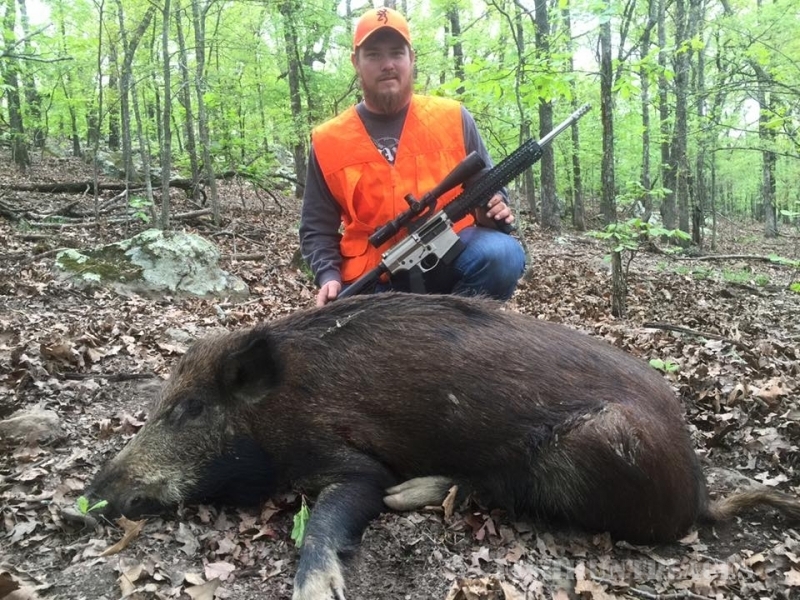 Nestled in the woods of Oklahoma is the hunting haven known as Black Mountain Hunts, LLC. 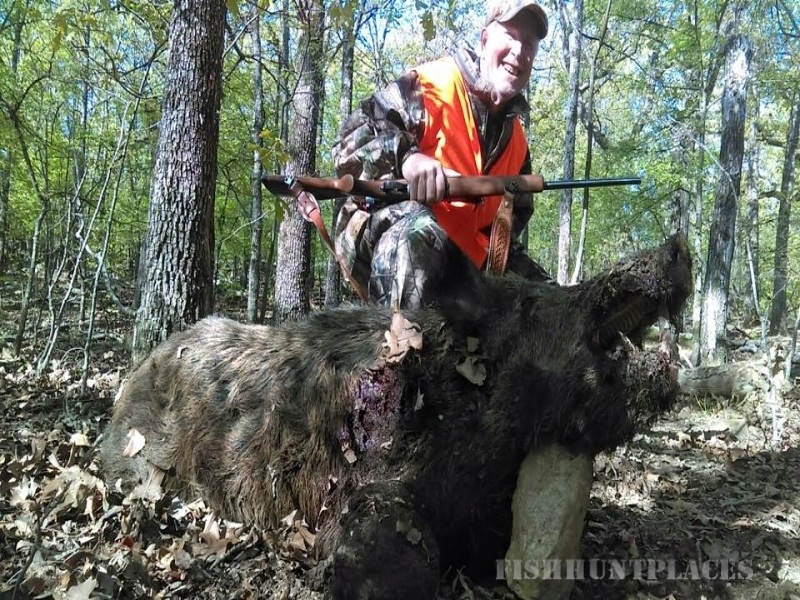 Our hunting grounds have a variety of environments, from dense, heavily wooded flatlands to moss covered rocks that traverse up the hilly terrain. 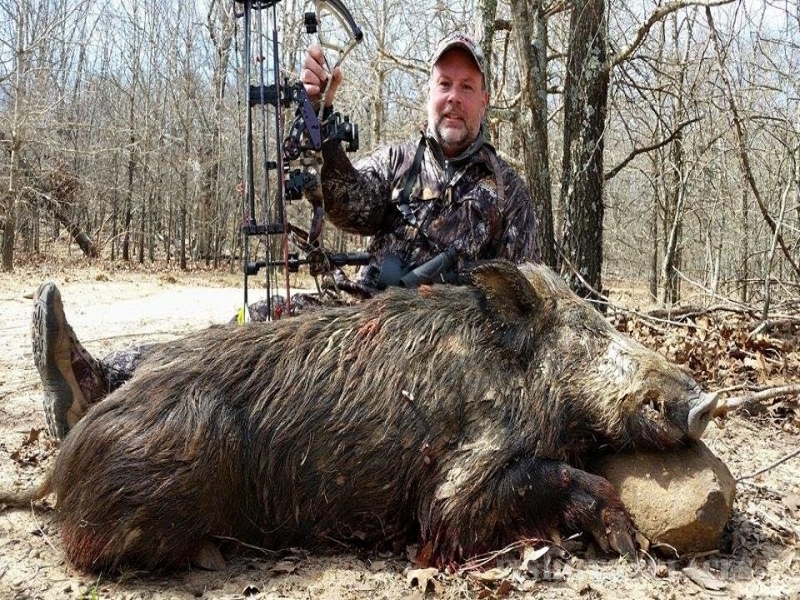 These different environments provide challenging, yet exciting opportunities to hunt your game. 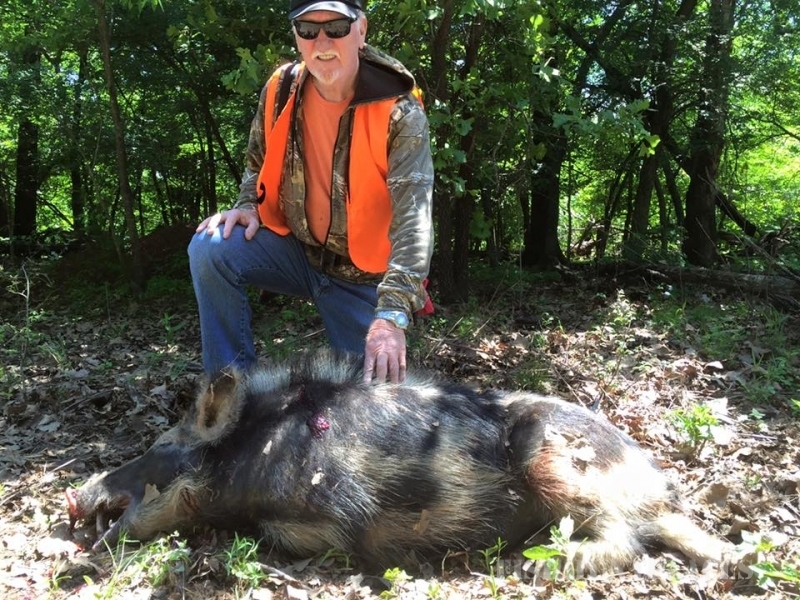 Whether you are looking to take down a hog or one of the many exotics, we are hoping your experience is unforgettable.